First I fled writing; then writing fled me. For many decades, we were like the lovers in Eugene Onegin: never in love at the same time. Well, okay: things are still a bit rocky. I have this notion that most writers my age (pushing fifty) have a few books out, but maybe that’s because the writers with the books are the writers I’ve heard of. 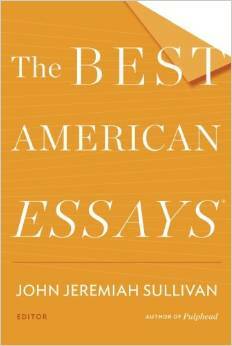 Whereas I have a dozen magazine credits, a few honorable mentions and several “notable” listings in Best American Essays. And that’s it. At a reading recently, the emcee was introducing me, and when he got to that part about the honorable mentions and the BAE “notables,” he laughed heartily and said I put him in mind of Susan Lucci. “Who’s that?” I whispered to the woman sitting next to me, and learned, just as I rose to approach the podium, that I was being compared to a soap opera actress. A soap opera actress who, I discovered later on Google, was an Emmy nominee for Outstanding Lead Actress (daytime television category) for 18 years running before she finally won. Each year, I attend a conference for “emerging literary writers,” held in New York City, where I live, and each year, I note the dearth of attendees my age. There are the twenty-somethings, with their freshly minted MFAs, and then there are the retirees: recently released from their day jobs, with little time remaining, turning their attention, at last, to the dream deferred. I conclude that most of my contemporaries who might conceivably be in the target group for this conference have either made it, and are thus no longer emerging, or else they have given up, and are thus no longer writers. Things actually got off to a promising start. I was in the third grade when my teacher said: class, write your autobiography. Mine spilled across 34 pages; I was an eight-year-old with a past. As the youngest child, you see, I was greeted at birth by my elders’ stories from the Great Before, their tellers eager for new audiences. So, in they went, those stories, almost as if they were my own, along with incidents at which I was present, I’m told, if too young to remember. For example, I was just months old when we left California for the northeast, but the autobiography tells of trips to Pacific beaches, and there’s something about a lemon tree in the yard whose yield was so bountiful that we gave bagfuls of fruit away to the neighbors, as well as mention of an orange tree that produced one single piece of fruit and then died. And the Watts riots figured in, especially the buildings of South Central LA that burned as my mother labored and gave birth. And then I have emerged and she holds me gently on her shoulder, and watches, through the hospital window, the smoke furling upward, losing itself in the clouds. Overlapping with and succeeding these pre-memories were pages and pages about things I did remember. On a family trip to Europe when I was six, I was parked somewhere while everybody else visited Anne Frank House in Amsterdam (I hadn’t yet had Bergen-Belsen explained to me), but I remember my brother plunging into a very narrow canal in that city, breaking through a solid surface of scum. (Someone dared him to jump across, and, long-legged, he inexplicably fell short.) In Florence, I remember only the hotel, where my brother and sister languished with the chicken pox. I stayed in with them, as I’d just had it and was immune. Meanwhile, our parents climbed to the top of the Duomo and visited the Uffizi Gallery: when would they have another chance? they reasoned. Of Brussels I have no memories at all, but for a long time a souvenir doll from Belgium sat on my dresser, wearing a billowing dress of magenta velvet and bent over a miniature device for making lace. About actually writing that autobiography, I don’t remember anything, but late one afternoon I realized I’d left my life story on a tray in the school cafeteria at lunchtime, then placed it on the conveyor that bore the vile-smelling leftovers away into the kitchen. Back to school I raced, and with help from the lunchroom ladies working late to make our next day’s meal, who took my loss to heart as if it were their own, although I now think that probably there were among them some who could not read, I found my pages at the bottom of a massive gray dumpster, underneath a smallish portion of mashed potatoes, stained but legible. My mother, a crack typist, cranked the whole thing through her Olivetti, the carriage return dinging impossibly fast as she went. She used carbon paper and sent copies to her sisters. The mail started pouring in. “I’m a writer, like you, no better, only a little bit older, which simply means a bit more experienced,” wrote somebody Aunt Esther knew through her job as a fundraiser for the America-Israel Cultural Foundation. A rabbi, the man sent a copy of his book Choose Life, a compilation of sayings from Hillel, Maimonides and other sages. I understood that he hadn’t actually written this work himself, and thought of him as something of an imposter, but I appreciated his gift nonetheless, and especially the note. I’m quoting from memory because, cleaning out my desk on a visit home from college, I tossed those precious letters. My mother, generally not at all the type to go through her children’s wastebaskets, rescued them, but then they disappeared again. I must have tossed them again, and if she re-rescued them, I must have tossed them a third time—the urge to declutter was powerful. Decluttering: this may be why I write—to free myself of the detritus and salvage it by shaping it into something that is just barely usable, like a hippie jewelry designer who turns empty soup cans into hoop earrings. For every loss, I write something, and for the big ones, two pieces, or more. But, oh, they come so slowly, just one or two a year, and that’s only since I’ve hit my stride, within the last decade. I console myself that if I write two a year for thirty years, that will, in the end, amount to a hefty output. But if I could choose only one quality as a writer, I would ask to be prolific. If I were prolific, everything else would take care of itself: for the more I wrote, the more my writing would improve. Look at Balzac, who, it is said, wrote eighteen hours a day, and achieved both quantity and quality. Prominently displayed in the Paris museum that was his home is the coffeepot he claimed made it all possible. In the end, some say, it was the coffee (dozens of cups a day) that killed him. After the autobiography, I went into decline as a writer. Followed by dozens of blank pages. I don’t know what Aunt Esther, dead these fifteen years, made of this hand-me-up, or if she wondered why I chose to bestow the notebook on her rather than on anybody else. (The answer: her birthday was looming.) She wrote only the occasional letter or list, but until her last days, she loved to tell stories, seated on her gold-and-brown striped plush sofa in some kind of silky loungewear, pleated, her legs curled beneath her and a tumbler of vodka at her elbow, neat, regularly replenished from some hidden source. Near the end of her life, the notebook, still blank except for that first page, somehow found its way back to me. I take this to mean that I am supposed to continue, hardships notwithstanding. Yet, over the years, I have let so many comments lead me astray, dropped by people who had no idea I would take them seriously. A weary bohemian who’d been married to some number of writers and found them difficult companions, said, “Better a good typist than a bad writer.” The snappy wording seduced me, as did the implied refusal to suffer fools, gladly or otherwise. Or was I merely seizing on an excuse not to do the work? Whatever the case, it was a turn of phrase that cost me a few years—years when I could have been working to become a less bad writer. Probably my typing would have improved in that time, too. I am a polytheist; my gods—books and those who beget them. But even studying and talking literature with fellow-acolytes has slowed me down at times. There was the Latin professor with the Welsh accent, excited almost to the point of derangement about his discovery of hidden meanings in the work of the ancients that he was certain no scholar or translator had fully mined. On and on he went for semester after semester (I was rapt and kept signing up) about layered significances and intricate wordplay. (Ovid was his favorite, but he also loved Juvenal, Catullus and Horace.) No modern could fully grasp these complex works, he said. I believe he numbered himself among the benighted. “I can never write that way,” I thought, and for another few years did not write any way at all. And there was my uncle, the leading independent bookseller in the state of Wyoming, until the chain stores did him in, and holder of a master’s degree in English literature from the University of Chicago (though my cousin suspects he never actually completed the degree). He’d read War and Peace six times, he told me several times, and he quoted long passages from Hamlet. (Come to think of it, it was always the same passage.) He declared that he never read anything written after 1900, because nothing worth reading had been written since then. (Not Proust? I think now—not Virginia Woolf? Was this self-imposed limitation of his really something to brag about? And how, without reading any of it, could he know that none of it was worth reading?) But back then, it was for me but a small step from his assertion to the conclusion that everything that would ever be worth reading had already been written, and long ago. Listening to these old men hold forth, I accepted their notion of a canon with a hard finish, like polished rock: an unsurpassable past. Now, however, I see literature as a garden, or a forest, something forever growing, where there is always room to add something, provided it is wonderful, or at least fascinating, a space to try and fail and try again. It cannot ever be closed off and declared completed because one of the things it does is try to make sense of its time in the language of that time, something that, by definition, no past work can do. Many of the books on my parents’ shelves were elegantly bound, their authors renowned. Those matching sets (Dickens, Dinesen, Disraeli, Dos Passos come to mind, and I think also of three black volumes that slid snugly into a black box, spines stamped in silver, but the title and author escape me now); the fine single volumes (Mallarmé, Mann, Mansfield, Melville); and the mid-century $1.25 paperbacks with the lurid covers that overpromised (Salinger, Sartre, Solzhenitsyn, Steinbeck), already in a state of advanced crumble when I was still a mid-century child—had they really started out as messy piles of pages, their authors mere dreaming scribblers, laughed at by their families and neighbors? I could not grasp it. I found intolerable the chaos of creation, the constant shadow of failure, the lack of résumé and affiliation that dog the obscure wordsmith. Life slipped past, and just about everything that could slow me down, did. A fabricator and inventor of stories I am not and never will be, and though Laura Ingalls Wilder was an early mainstay (I thought our shared first name was a fantastic coincidence), I still didn’t get that you could write the seen, the heard and the lived, transcribe all that and then arrange. It was the old story: the primacy of the novel. I thought you had to make stuff up; I thought it all had to be fictional and fabulous. That wasn’t my thing; ergo, I would never be a writer. My studies and work trajectory tell the story. Warily, we circled each other, writing and I. First, the undergraduate degree: literature, Russian literature, plus the language, my attempt to burrow partway through the canon without relying on somebody’s translation. Next, years spent working in distant parts, speaking other languages, for the same reasons that aspiring young writers in times gone by (men, always men) used to go seafaring, ride the rails, work construction or get themselves jobs on oil rigs: to see the world and build up a fund of stories to draw on forever after. (The “Maxim Gorky/Jack London thing” is how I think of this.) Occasionally, I tried to pin experience to paper, but still a step or two away from writing, I earned my living as a translator. Next, I dabbled in journalism. I was edging closer, but struggling still to keep things sensible: just the facts, who/what/where/when, inverted pyramid, writing for pay. My regular job grew less absorbing, as regular jobs will do in mid-life, and at last I took to turning off the phone evenings and weekends and sitting for hours on the sofa with my laptop open before me. Sculpted, spangled narratives based on recollection were what emerged, plus mounds upon mounds of scrap. Selection, arrangement, tricks of memory, and some embellishment make categorization difficult: fiction? memoir? The stuff I squeeze out (how I wish I could replace “squeeze” with “churn”) is too close to each to be either. What I write mostly happened, but some of it I make up (at least, I think I do), knitting together the “true” part and the embroidery part, and despite all of the needlework that’s gone into it, it’s seamless—as in, there is no hope of my remembering what actually happened and what didn’t, if anyone should ever ask. The main thing is not what’s real or not-real. We are not talking authorized biography here, but a wrought object, fashioned from found materials. She’s right, of course. She’s right, because she’s the last one standing; there is no one left on earth who can dispute her account. But by the time she tells me this, the thing is already in print, since I know better than to show her an advance copy. Even if I could change it, though, I might not. Because the thing is, it’s mine. She makes a face. She doesn’t like it when I say that. Neither would I, if the roles were reversed. But I mean it. And, come to think of it, I have surely gotten some facts muddled in these pages, too. So, you too, reader, whoever and wherever you are, you too: feel free to write your own version. Laura Esther Wolfson lives in New York City, where she earns her living as a translator of Russian, French and Spanish to English. Her writing has appeared in Bellingham Review, Gettysburg Review, Poetry Daily, The Rumpus, The Sun, Zyzzyva and elsewhere and has been cited repeatedly as "notable" in Best American Essays. Last summer, she was one of the co-producers of Amplit Fest, a daylong festival in New York City presenting authors of all backgrounds, styles and levels of recognition. She is also the nonfiction curator for Lamprophonic, a monthly reading series presenting emerging writers.